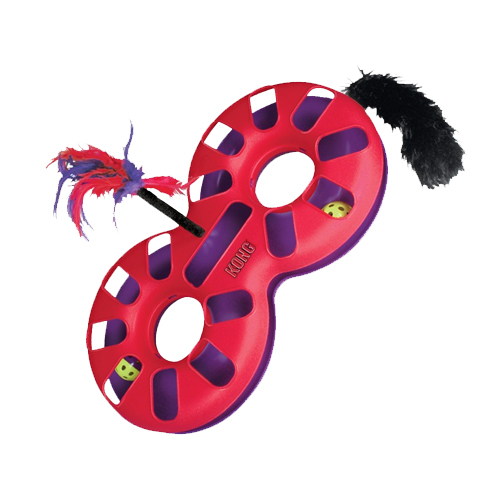 The KONG Cat Eight Track is an exciting hunting game for your cat. The 8 shape of the race track offers an extra challenge. De KONG Cat Eight Track is a racing track in the shape of the number 8. The track contains two balls with a rattling sound which cats love to chase. The race track includes additional play elements: feathers and a tail with catnip. Have you used KONG Cat - Eight Track before? Let us know what you think about this product.